Ally's Sweet and Savory Eats: Cupcake Heaven GIVEAWAY! Today mark's my 100th post! I really wonder what I've chatted about 100 times...and more importantly I've wondered if you care! To mark this gigantic, monumental, time in my life, it is only fitting to host my first GIVEAWAY! 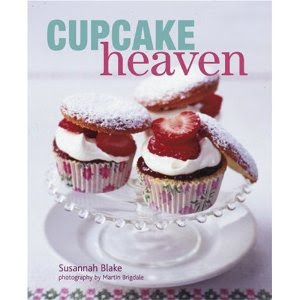 I am giving away one copy of the cookbook, Cupcake Heaven by Susannah Blake. If you are a dessert lover, or better yet a cupcake lover, this cookbook is for you. 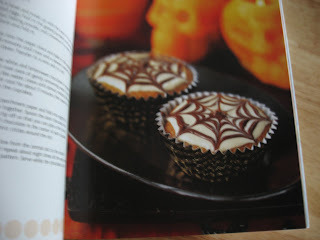 I cannot tell you how many varieties of cupcakes are in this cookbook, not even mentioning how beautifully they are decorated. It is really, quite impressive. Here's how you can enter. Remember, each comment you leave is a separate entry. Giving yourself a total of 5 chances! 1. Leave me a comment telling me your favorite cupcake flavor. 2. Become a follower of Sweet & Savory on your Google Reader. 3. Become a follower of Sweet & Savory on facebook. 4. 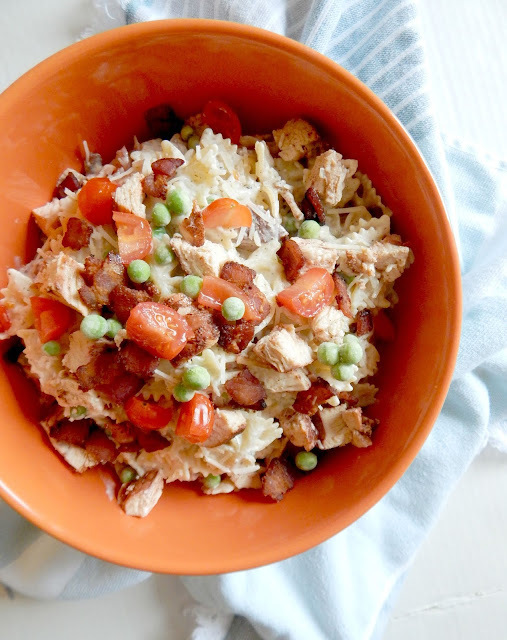 Add Sweet & Savory to your blogroll. 5. Link this giveaway on your blog. There are your 5 chances! You have until 12:00 p.m. CST on Friday, April 16th to enter, when I'll randomly choose a winner. Remember please leave a comment for each separate entry, and if you already are a follower on facebook, or already have me on your blogroll, just tell me in the comment section, it will count! Important - I will announce the winner Friday, April 16th, so make sure to check back to see if you are the winner!!! 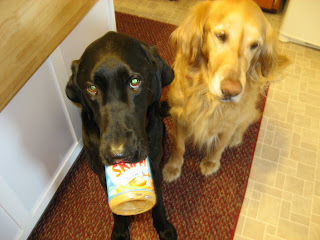 And to leave you with a snapshot into my ever-so-exciting-life, below is Dukie, our black lab, who refuses to give up the peanut butter container to his sister Kata, the golden retriever. This went on for about an hour yesterday. Got you on FB now!! Thanks for the help! I love cupcakes! 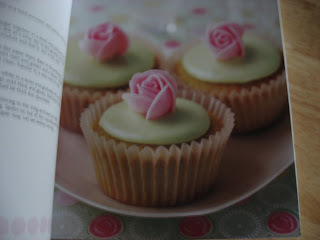 I am actually making Magnolia Bakery's vanilla cupcakes today which is my favorite kind of cupcake! Also, I am a google follower :) Congrats on the 100th post by the way! YUM! Chocolate is my fav. Maybe some whip cream or any cream stuffed in the centre, with chocolate icing, could have a nutty flavour choc icing, but chocolate all around! I Loooooove cucpakes. I don't know if I could pick a favorite flavor. I love peanut butter and chocolate but plain of vanilla is delish too! i loveee to to bake, my favorite flavor is good old fashion vanilla with vanilla. i just made bunny cupcakes over the weekend and would love to try out some other types ! Awww I didn't know you had puppies!!!!! How cute are they!?? Great idea with the peanut butter jar! I'm going to give my next empty one to Corky, he'd love that! My favorite flavor cupcake is a fluffy white cake and very little frosting. I am a fan on Facebook already! Haha, that's the BEST picture of your dogs!! My dog is pretty much like that with everything. Congrats on your 100th post! My fav cupcake is a lemon one with cream cheese icing--my sister made these for my wedding in 2008! I am already a follower on Facebook and Google reader! I'm a sucker for chocolate, so mine is devils food, with mini chocolate chips mixed in, with a lighter chocolate mousse type frosting. yum. Carrot cake is by far my favorite! With cream cheese frosting, of course :). i'm a sucker for any cupcake that's super moist or has cream cheese frosting!! Great giveaway! My favorite flavor of cupcake would be funfetti. Just added to my blog roll!! My favorite cupcake flavor is vanilla! I added a link to your giveaway in the top right hand corner of my blog. My favorite flavor of cupcakes is chocolate. Love the pups! How adorable are they??? My fave cupcake is good ole chocolate! you're already on my blog roll, silly! ;) my fav cupcake is either marble (choc/vanilla swirled) or red velvet... or funfetti - how about all three together!?!? My favorite cupcake flavor is vanilla on vanilla. I know, I know... I'm BORING. And you are on my blogroll now! Which I have actually been meaing to do... haven't updated it in a while. Ooooh my I would love to win!!! I'm a follower already, does that count?? Google Reader confirmed! I love this giveaway! Mmmmm... a favorite flavor of a cupcake, if I could envision the perfect one, would be lemon with a cream-cheesey lemon frosting! Or Sprinkle's Red Velvet cupcakes are absolutely to die for. Honestly, when I lived close to a Sprinkle's it was BAD news! I love carrot cake cupcakes.... or lemon with cream cheese. So many yummy options to choose from. Carrot cake cupcakes hands down! I love red velvet cupcakes!! Your dogs are adorable! I LOVE chocolate cupcakes with chocolate frosting! You can't go wrong with that combo!! I'm also following you on Google!! You are already on my blogroll, right before me. Not fair. My very favorite cupcake is carrot cake with cream cheese icing! Wish I had one now. Following you on Google Reader. Congrats on your 100th post too. Congratulations on your 100th post. That's a look of good cookin' goin' on. Looking forward to the next 100.